If heaven exists I imagine it would have freezers full of Ben & Jerry's ice-cream, to be eaten at any time without guilt or consequence. This brand has always been my favorite, expensive but utterly divine with the mix of real cream, sugar and other high quality natural ingredients. The company's main factory is located in Vermont and I made a quick stop during a recent visit to the State. 1. 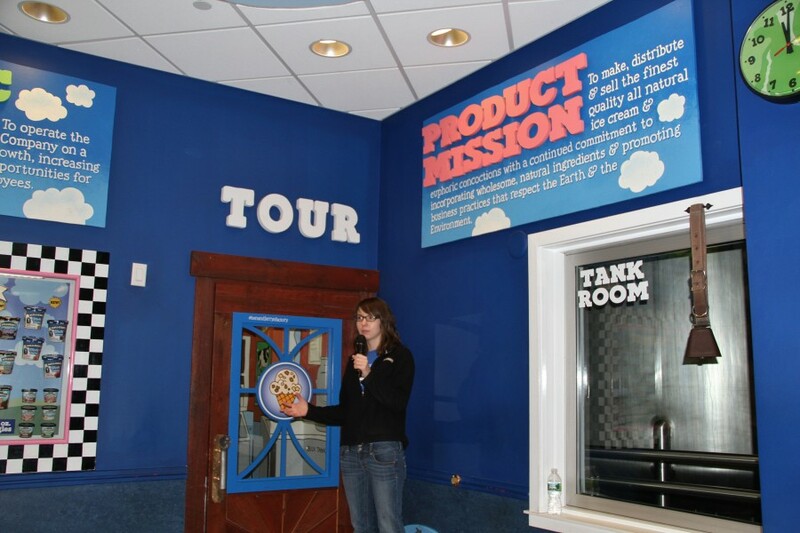 The Ben & Jerry's factory is located in Waterbury and sits off a main road with beautiful mountain scenery on all sides. The company promotes environmentalism and social activism so it's not surprising a huge globe is displayed on the outside of the factory. Its founders, Ben Cohen and Jerry Greenfield, were lifelong friends having met in middle school in Long Island, New York. After failed attempts to get into medical school, Ben convinced his college drop out friend Jerry to split the $5 fee for a course on ice-cream making. Then, they pooled their savings together, leased an old gas station building in Burlington, Vermont and in 1978 started cranking out ice-cream. The friends experienced immediate success and Ben & Jerry's ice-cream quickly made its way into local Vermont supermarkets and restaurants. Today the ice-cream is sold globally. 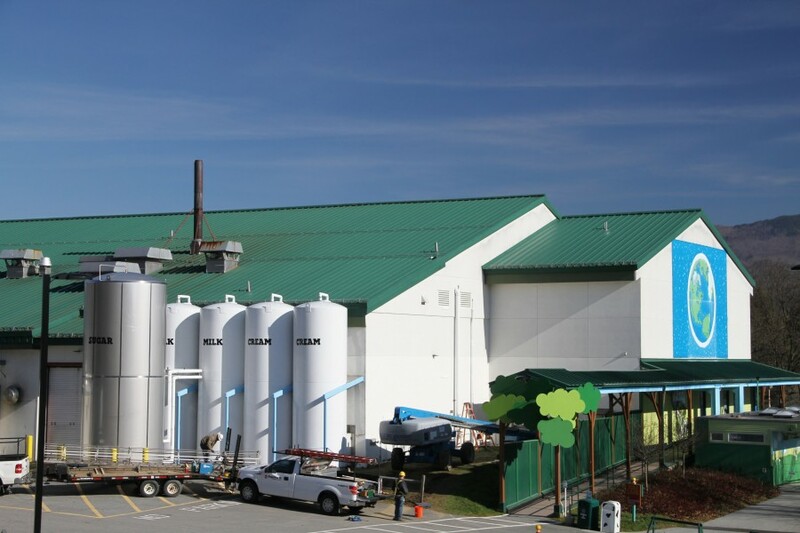 Although the company's main production facilities remain in Vermont, it also has factories in Nevada and Israel. 2. During the factory tour, a very energetic historian tells you about the company's founders and their core principles relating to sustainability, environmentalism and social activism. Unfortunately, you cannot take photos of the actual factory process (in case "you're a spy for Haagen Dazs" the guide says) and guests only see a small part of the mixing and packaging components of production. 3. 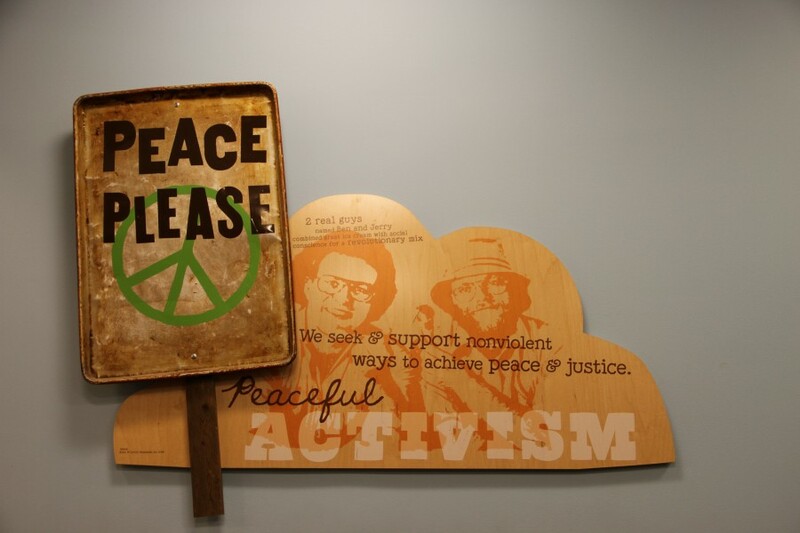 Ben and Jerry are hippies at heart and this is recognizable in all aspects of the brand. From the very beginning, they supported local Vermont dairy farmers by paying a premium to those farmers who did not give their cows growth hormones. Even after the company sold to meganational food conglomerate Unilever in 2001, a separate managerial board was established to maintain quality control over production to ensure the Ben & Jerry's brand did not sway from its founding principles. 4. The company still works only with Fair Trade, sustainable and organic suppliers. It continues to be at the forefront of developing more enviornmentally friendly packaging and each year the company contributes huge amounts of money and support to social organizations and charities. 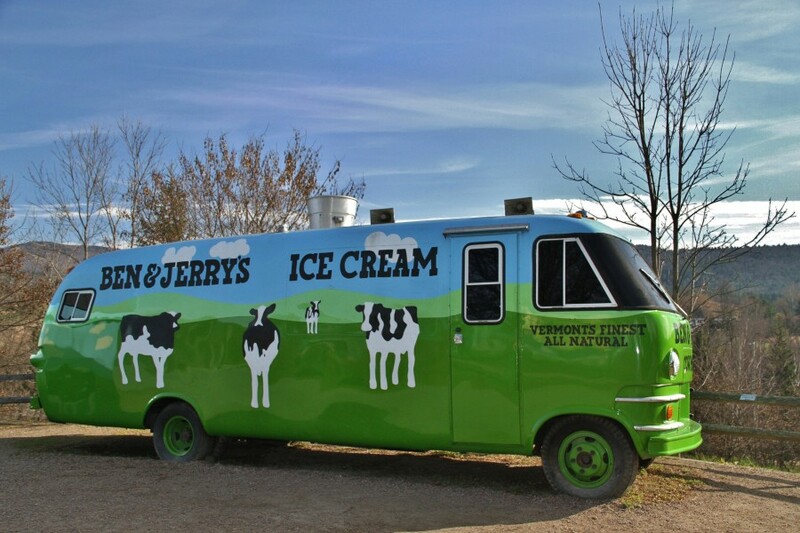 Ben & Jerry's was a firm supporter of the Occupy Wall Street movement and is now involved in a campaign called "Get the Dough Out of Politics," in response to a recent Supreme Court decision which permits corporations to make unlimited monetary donations in elections. 5. 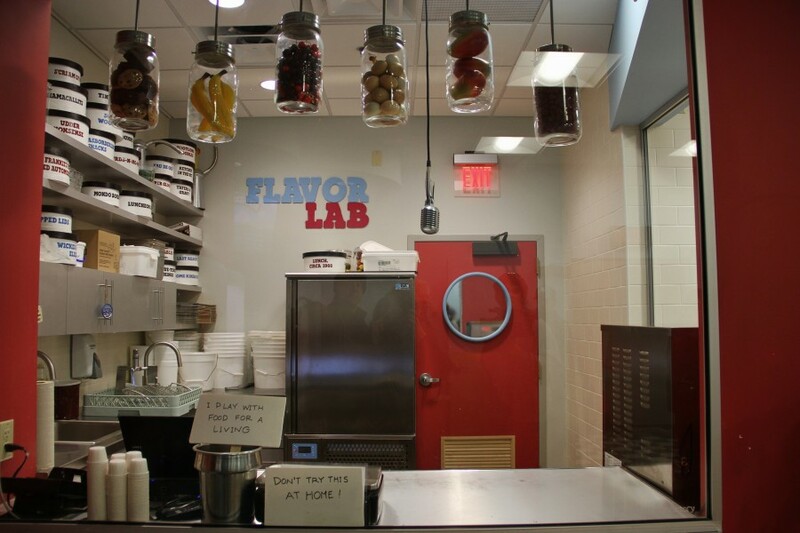 At the end of the tour, you visit the "Flavor Lab" and get to test potential new flavors. Ours was "Beam Me Up Scotchy," butterscotch ice-cream with huge chocolate chunks. It was great and I hope the flavor makes its way to the market. 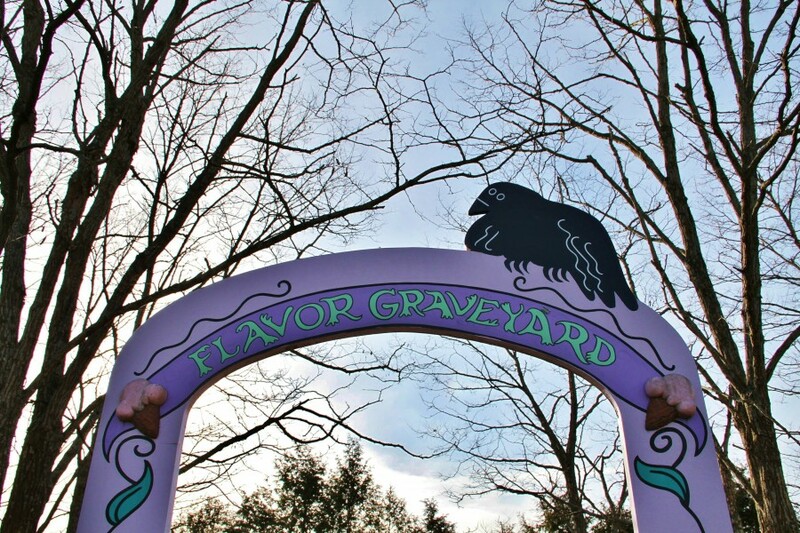 6.. On the factory grounds, there is a cool "Flavor Graveyard," where flavors which are no longer in production are buried. 7. I don't remember this flavor, but it sounds delicious! Each tombstone contains a clever saying. My favorite flavor its still alive and I've consumed way too much of it in my life, savoring every bite. 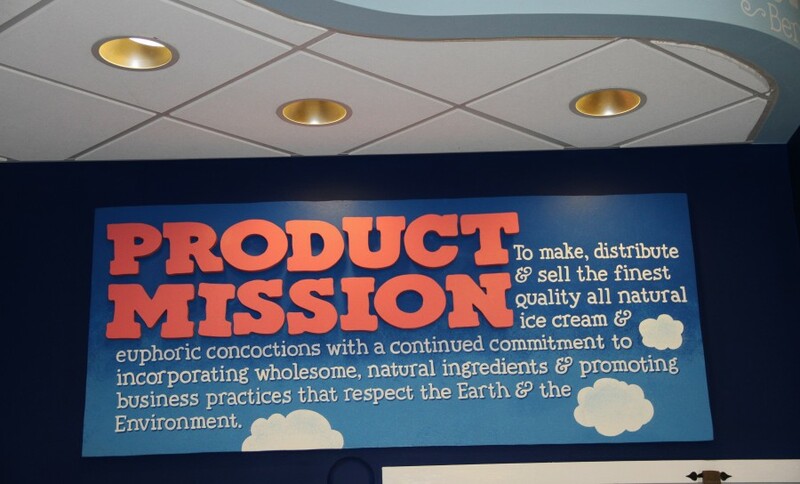 I cannot say that the Ben & Jerry's factory is extremely impressive, but if you're a fan of the ice-cream or its founders then it's worth a visit. And the company's history is interesting, entire books have been written about it. Ben & Jerry's is a shining example of how a mega corporation can remain extremely profitable without "selling out" or becoming completely soulless on the social front. There is room for profit and social responsibility in all corporations but so few mix them. 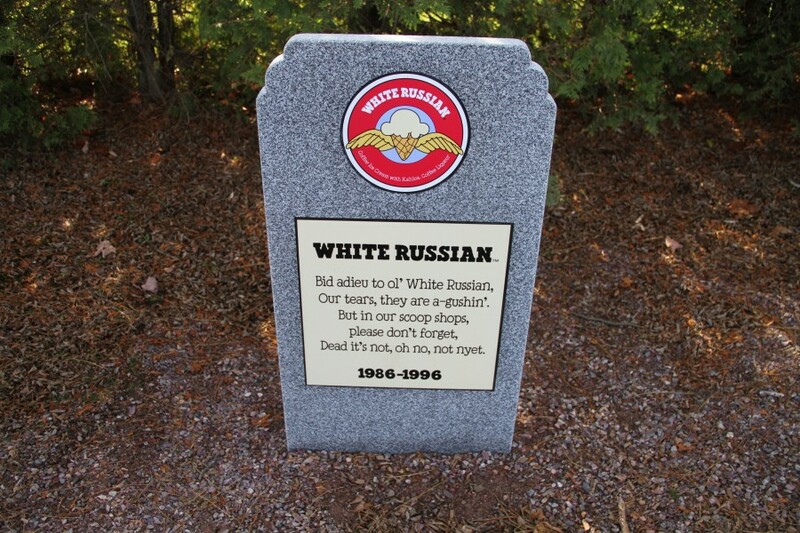 ooo, white russian flavor is dead), how many are alive? Hi Sergey! They currently have over sixty flavors, including some frozen yogurt and seasonal flavors. Can you buy Ben & Jerry's ice-cream in Russian grocery stores? I didn't see Russia listed on the "global" section of the company's website. On Friday I have got a 3-years US visa. I anxiously wait.... Keep them coming.. Merry Christmas. Yes, it's a tragedy! :) Have you had Ben & Jerry's ice-cream before? My favorite flavor is chocolate chip cookie dough. This is the ingredient in the flavor. It's vanilla ice-cream with chunks of raw chocolate chip cookie dough. Common to eat the mixed dough raw in the States and it's quite delicious! I think I haven't... But I agree that Belarusian ice-cream may be very tasty, because the have kept a lot of technologies since soviet times. And I think you'd love Belarus, it is cleaner than Russia and their citizens are rather friendly.